Rather than let annoying and disease-carrying cockroaches intrude into your hard-earned home or business establishment, do yourself a favor and contact well-versed, seasoned cockroach exterminators to ensure you never have to worry about their infestation again! Stomp Pest Control is here to help answer any cockroach-related questions to the best of our ability. As part of ‘The Stomp Difference“, we take pride in educating and guiding our current and prospective customers to the best of our ability in order to create a cockroach extermination strategy that works best for their lifestyle, budget, and timeline. What attracts cockroaches into your house? Similarly to humans, cockroaches love to eat. Whether we’re talking about food sitting inside of a trash can, leftover dirty dishes, or food dropped on the floor, cockroaches will happily pick at any piece of food they’re able to. It is recommended to ensure your kitchen and dining room area are regularly cleaned in order to avoid cockroach infestation. Sweeping and polishing your floors are also imperative when it comes to cockroach control. Along with that, keep in mind that cockroaches love moisture. That said, remain vigilant of leaky water pipes, perhaps beneath your kitchen or bathroom sinks as well as bathmats or floormats that have a tendency to remain moist for hours after use. Because these pests are known to inhabit sewer drains, bathroom areas, and dumpsters, they’ve got a high likelihood to pick up and transport pathogens and bacteria that are harmful to humans. It is safe to say that if you come in contact with a cockroach, ensure to wash your hands or any body part that came in contact with the pest. As far as food is concerned, it is recommended to never eat any piece of food that has been in or around these pests, as airborne bacteria can seamlessly spread leaving you and your loved ones at risk of sickness and contamination. Do cockroaches like heat or cold? Typically speaking, cockroaches do not like the cold, as they are cold-blooded arthropods (arthropods are unable to survive in extremely hot or extremely cold climates and must reside in fair-weathered temperatures of 55-70 degrees Fahrenheit with little-to-no humidity). In the beautiful state of North Carolina, it is safe to say that cold weather is rare and warm, humid weather is most prevalent for roughly 9 months out of the year. 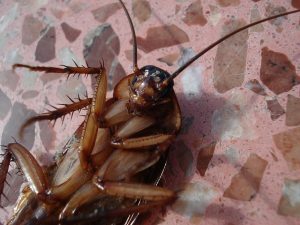 That said, do not expect the humid, sunny weather to deter cockroaches from intruding on your home or commercial business property, as they’re extremely capable of intruding during the night when the temperature cools down and when you’re least expecting them. Whether we’re talking about the American Cockroach, German Cockroach, Oriental Cockroach, or the Brown-Banded Cockroach, it is safe to say that these pests generally cann0t survive in environments with temperatures below 15 degrees Fahrenheit. That said, it is very common for cockroaches to find a way into your home or business establishment in order to avoid unlivable weather conditions. Because they need water to survive (to avoid dehydration), these pests are notorious for living through winter by inhabiting floor drains, sewers, crawl spaces, and, most commonly, basements. How long do cockroaches live in a house? The lifespan of intruding cockroaches depends on several environmental factors including but not limited to location and weather conditions, areas in which the pests can breed and nest in, and the amount of food and water they’ve got access to. 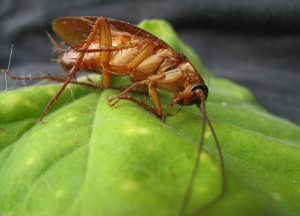 It is not uncommon for a handful of cockroaches to intrude into a home or commercial business property, lay eggs, and grow extremely rapidly. They’re able to grow so rapidly simply because they’re able to breed extremely rapidly. Do cockroaches prefer light or darkness? Cockroaches do not dislike light, but more species do prefer darkness. In fact, many species of cockroaches, such as Oriental and German, have been known to gravitate toward natural and man-made lighting by gathering on window panes, television screens, and even desk lamps. What is the lifespan of a roach? Most cockroach species are known to have a lifespan around one year. 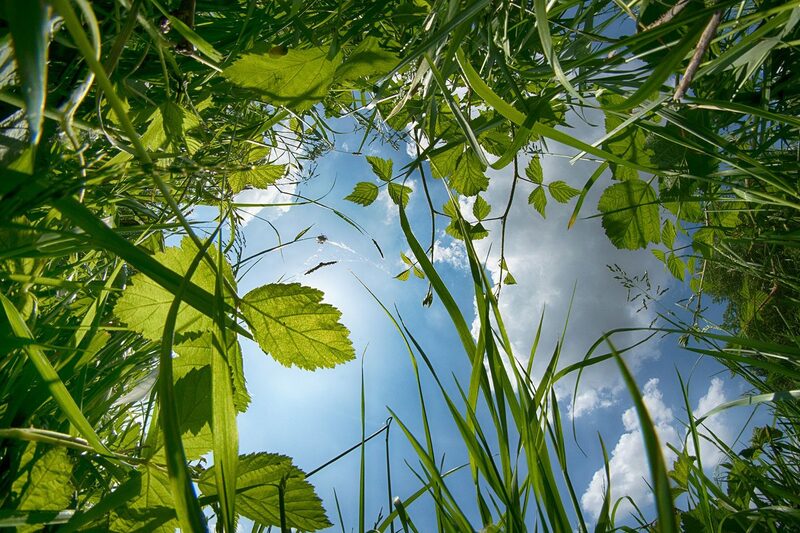 This can vary, as environmental factors should be taken into consideration such as how harsh the pests’ weather conditions are and how abundant food and water is. At Stomp Pest Control, one of our major goals is to perform a thorough and consistent service that our exterminator customers can count on. Along with cockroach extermination, be sure to check out our pest control frequently asked question page to learn about rodent, mosquito, ant, spider, wasp, and bee extermination services in which we offer. 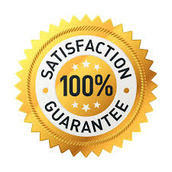 Whether your home or business is in Raleigh, Cary, Wake Forest, Chapel Hill, Durham, Holly Springs, Apex, or other Triangle locations, you can count on Stomp Pest Control to rid your home of The proof of this is in our retention of our customers, and we have received numerous referrals. Fill out our contact form below or give us a call today at 919-231-3292 to learn more about The Stomp Difference and how we can eliminate your pesky cockroaches for good!